Tomorrowland has a lot going on in it! 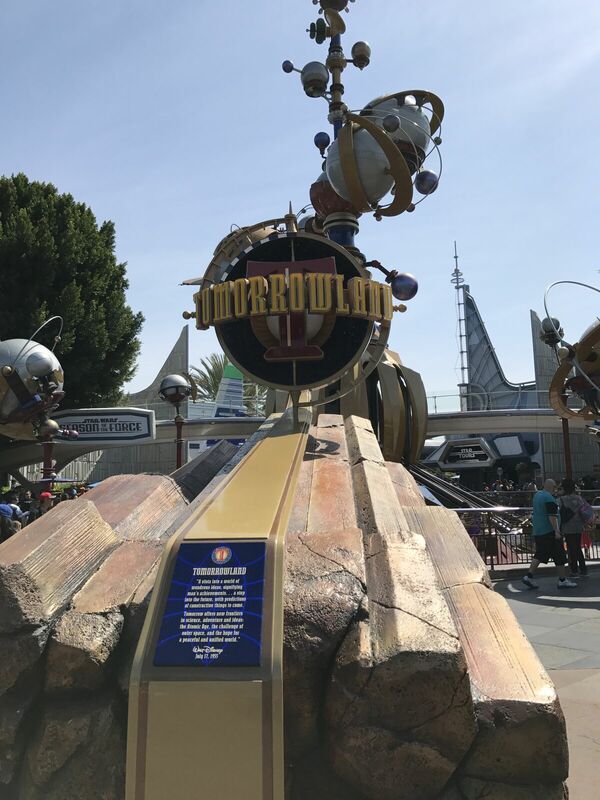 From Star Wars meet and greets to Autopia, there's a lot packed into this original Disneyland space and there's really something for everyone. Like something slow and relaxing? Try Finding Nemo Submarine Voyage! Looking for a thrill? Space Mountain all the way. Like a thrill but NOT into roller coasters? Star Tours is for you. Want to sit in more traffic after driving to Disneyland? Head on over to Autopia (we're joking...kind of). 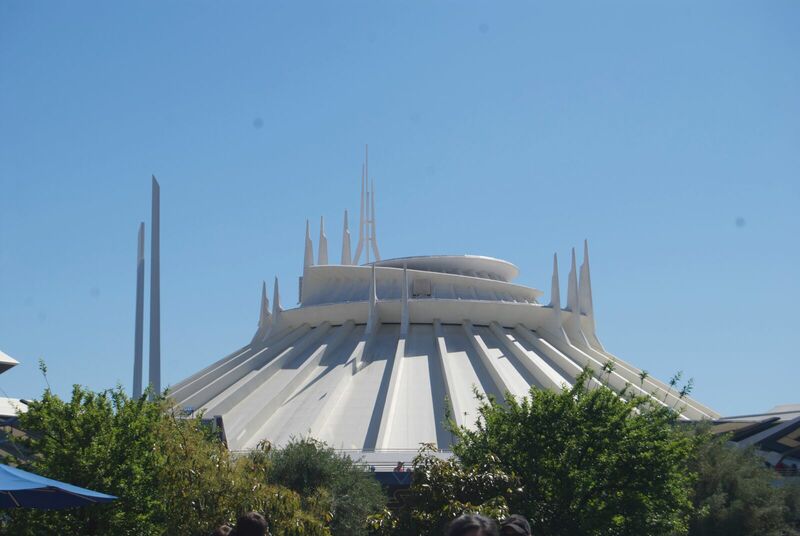 Ok, it's Space Mountain. All day. All the way. (Expect maybe during Halloween. Ghost Galaxy isn't my favorite overlay.) This is a classic roller coaster and we'd really be missing something if we didn't call it out as the best. Amazing music, thrilling in the dark, and a must-ride every trip. Plus, there's a new indoor queue area for the stand-by line! No more waiting endlessly in the sun while the Fastpass people barrel ahead of you. 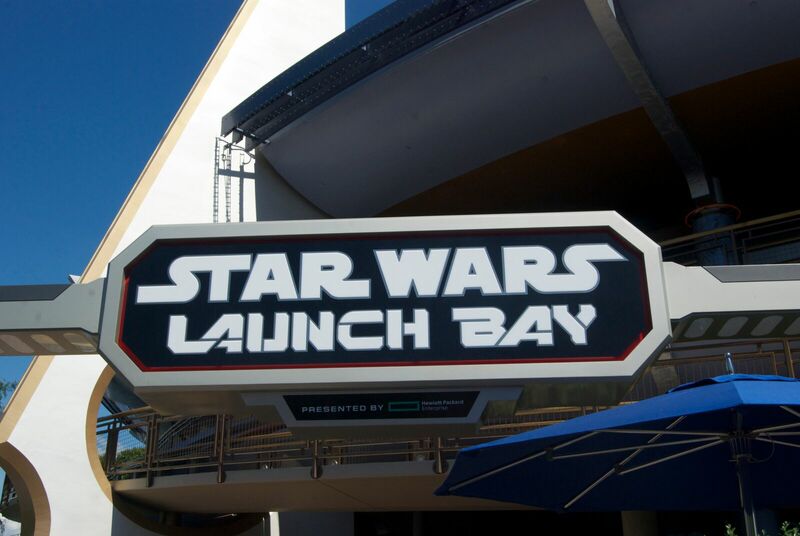 If you have a Star Wars lover, PLEASE check out Launch Bay. 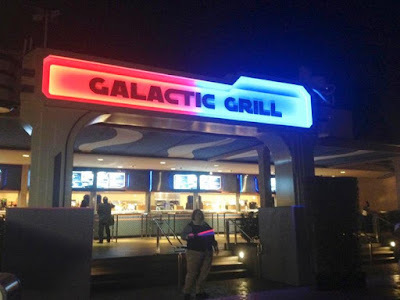 It's not well marked or advertised, making it the perfect spot to go enjoy some air conditioning and check out some Star Wars merchandise, memorabilia, and photo ops. Also, the wait time on characters is pretty minimal most days! If you're in Tomorrowland in the morning (which we HIGHLY recommend, see our "Best Tip" below), be sure to get the breakfast burrito from the Galactic Grill. It's enormous! Definitely the best bang for your buck in the park and so delicious! It's jam packed with eggs, bacon, sausage, hash browns, cheese, and pico de gallo. It's almost more than we can finish in one sitting. Pretty good for $8.49! 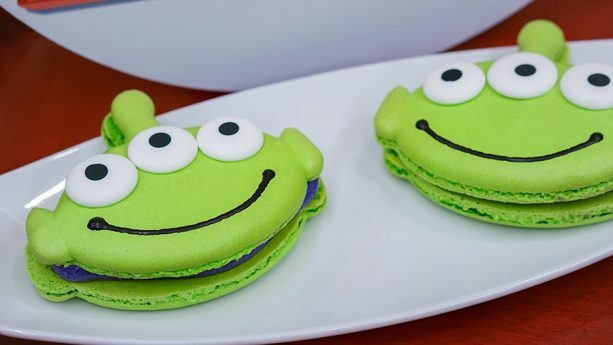 While Pixar Fest is still going on, be sure to check out The Macarooooon at Pizza Port (aka Pizza Planet during Pixar Fest). The adorable alien themed macaron has a blackberry filling with lemon custard in the center. And how can you resist those white chocolate eyes! You won't find too many characters just wandering around Tomorrowland, but, like we mentioned earlier, there are plenty of Star Wars characters to find inside of Launch Bay. We've met quite a few, but our favorite has to be Chewbacca. 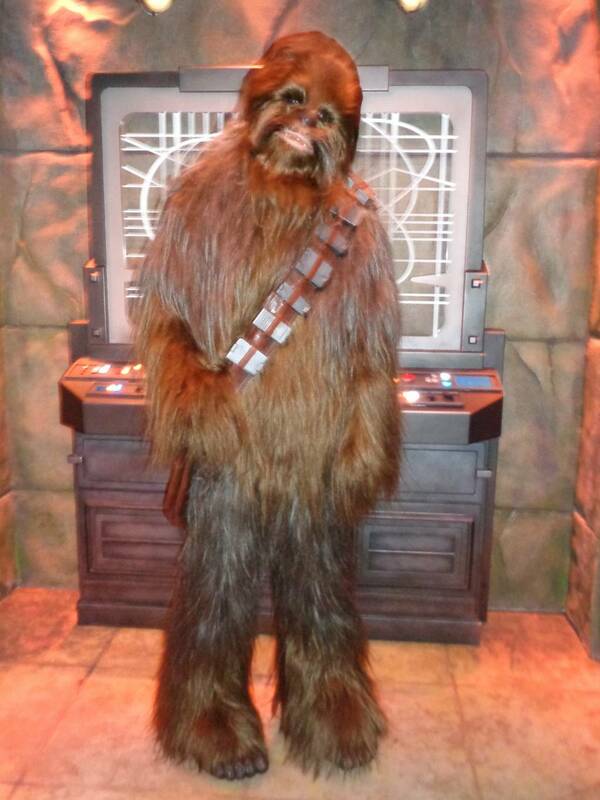 Who doesn't want to get a hairy hug from that big guy??? 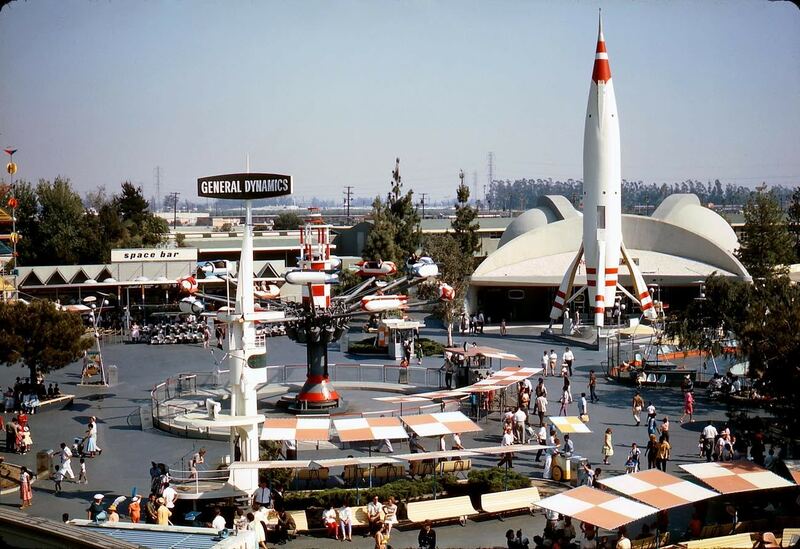 When Tomorrowland was first designed for the opening of Disneyland in 1955, it was supposed to be a prediction of what life would be like in 1986. Man, our childhoods would sure have been different if we had daily trips to the moon in the 80s! We're big proponents of getting to Disneyland early - like waiting out in front of the gates 45 minutes before park opening early. On most of those early mornings, we head to Tomorrowland first thing! 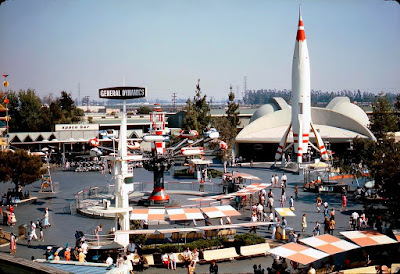 Grab a fastpass for Space Mountain, ride Buzz Lightyear, grab a fastpass for Star Tours, ride Space Mountain, ride Autopia, ride Star Tours, eat that amazing breakfast burrito we were telling you about, ride Nemo, then hit the rest of the park before those Tomorrowland lines get long. Done and done! 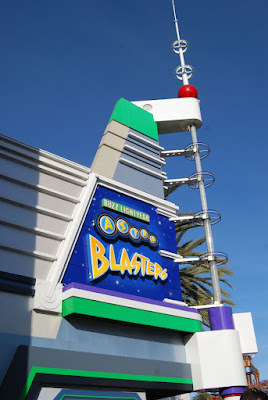 Pro Tip: Do the exact opposite of what we just said for the Astro Orbitor. That line moves incredibly slowly and is best done last thing at night, after the fireworks. Disneyland is an amazing place for the kids and adults. It is a place that fun never ends. If you are planning a trip to Disneyland then visit Mad About Dee Travel for How To plan your first backpacking trip.